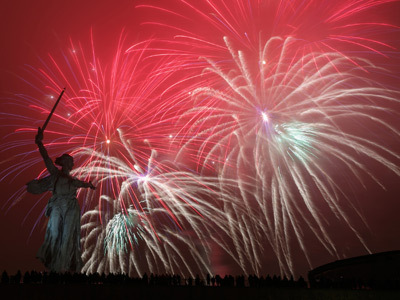 The Children’s Dance fountain, an iconic photo of which became a symbol of the destructive Battle of Stalingrad, is back in its place in the Russian city of Volgograd. It marks 71 years since the beginning of WWII’s bloodiest and longest standoff. 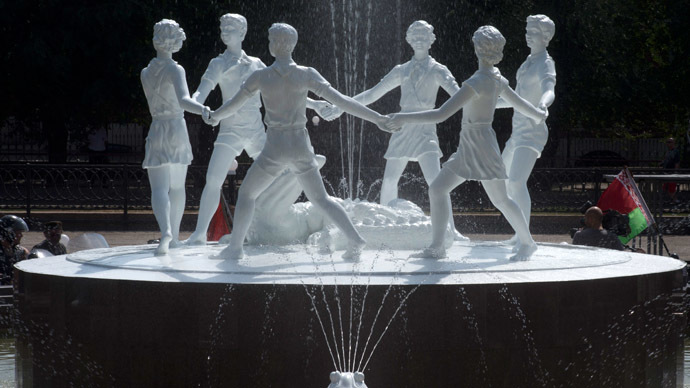 Officially named the Children's Khorovod, literally ‘Children’s Round Dance’, the fountain initially installed in 1939 was one of the symbols of the city formally known as Stalingrad. The statue of six children dancing around a crocodile became famous worldwide due to several pictures that a Soviet photographer took after the German army’s devastating bombings. The black-and-white snapshots showed children playing happily, with a ruined city in the background. 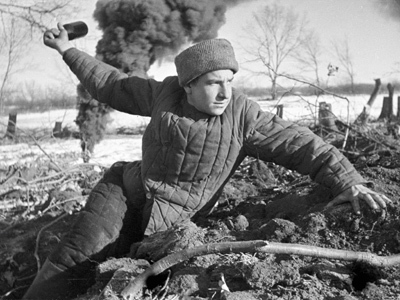 Witnesses recall numerous bombs hitting the city, making it resemble one huge fire, with burning neighborhoods, streets, ships and even the Volga River. Amid massive destruction, the fountain survived and stood only partly damaged by shell fragments. Since then the fountain became a symbol of a devastated, but undefeated city. The symbolic fountain was restored after the war, but then removed in 1950s as the city was being rebuilt and developed after the war. 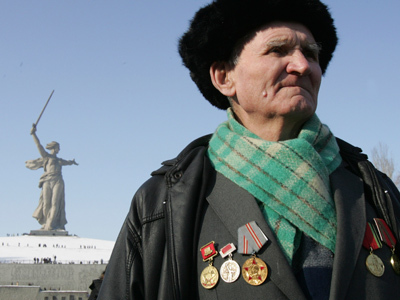 As August 23 marks the 71st anniversary of the battle’s commencement, the fountain has been restored to commemorate the victims of the massive bombing of Stalingrad in 1942, in which 40,000 civilians were killed. President Vladimir Putin has officially opened the fountain on the city’s square nearby the main railway station. At 4:18pm local time (12:18 GMT) – the exact time the German army started bombing the city – a smaller replica of the fountain will be also opened near the museum panorama ‘The Battle of Stalingrad’. Sirens will sound, just as they did 71 years ago, to mark the moment the battle began. Organizers have called on drivers to stop and honk their horns in memory of the tragic events.